We continued with our SuperSummerSeniorSnaps with a visit from from none other than old friend of Otis & James, the lovely and talented Heather! 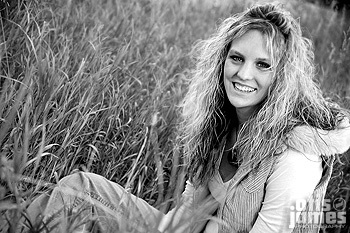 I say ‘old friend’, because we have had the good pleasure of working with her before, and because her older sis was one of the very first peeps to have their SeniorPics taken by good ol’ O&J. So she’s family…la familia! That’s I-talian for ‘Family’, in case you were wonderin’. So, just because we’ve worked with her before (and she rocked then), and her older sis was the originator of the O&J rock, this by no means means (too many means, but I don’t know how else to do it, so just bear with me) a guarantee that our time together was going to be one that was filled with tons of awesome snaps. Well, should I leave all of you out there in suspense, or should I let you know what the verdict was…suspense…suspense…drama…intrigue…and the verdict is…not good, but we’re talkin’ totally awesome! Let me be clear with you on that, she was totally freakin’ awesome! We had a great time during our short stay with Heather, and we would like to thank her for being such a treat. Hip Hip – Enjoy! Hey hey my same last named amiga… your pics are awesome! Previous Previous post: Carly, Why You Gotta Be So Good? Next Next post: Ryan, Flying Through The Air With Skill & Ease!